JERUSALEM (JTA) — “I wish the Iranian people success in their noble quest for freedom,” Israeli Prime Minister Benjamin Netanyahu said. Netanyahu, in a video posted on social media on Monday, denied an Israeli connection to the anti-government protests in Iran, which have reached their fifth day with 12 reported dead. Netanyahu on Saturday had asked his government ministers to minimize their public comments on Iran after two ministers tweeted their support for the protesters, Haaretz reported. 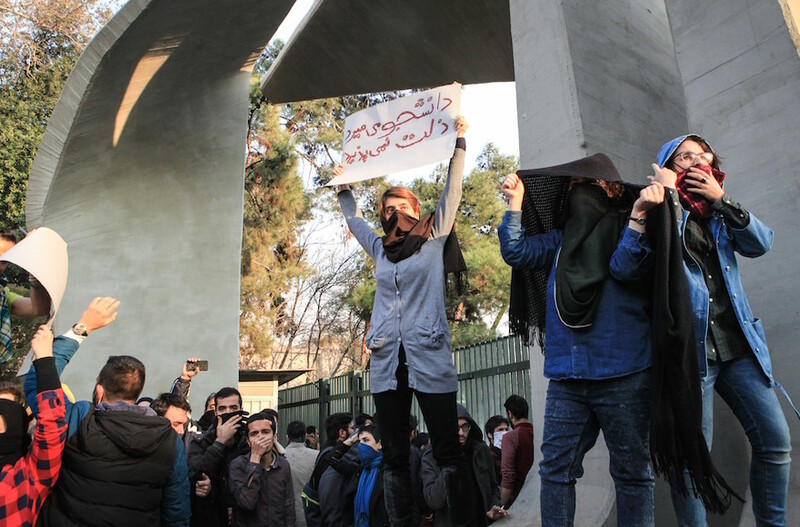 The protests, led by young people, are being held against the backdrop of moderate President Hassan Rouhani’s failure to bring more political change and economic opportunity. In a crackdown against the protests on Monday, dozens of protesters were arrested and the Telegram messaging app, which has been used as a way for protesters to communicate, continued to be blocked. U.S. President Donald Trump used one of his first tweets of 2018 to voice his support for the protesters. Vice President Mike Pence also tweeted his support. Israel’s Intelligence Minister Israel Katz on Monday told the Knesset Foreign Affairs and Defense Committee that Israel is not involved in the protests in Iran but that “we want to see this depressing regime get replaced by a democratic government,” the Times of Israel reported. He also accused Iran of assisting terror groups including Hamas and Hezbollah. “Over the past few days we’ve seen direct Iranian involvement in Gaza. Iran, Hezbollah and Hamas are working to upgrade the threat against Israel from Gaza,” he said. Iran last faced mass popular protests in 2009, following the election to a second term of Mahmoud Ahmadinejad, a hardliner. Up to 70 protesters were killed in those protests.